Sum of kept dices and sum of kept dices without explodes (for fettered magic casting if you do not want to keep exploded dices). checkbox to reroll 1's (for speciality Tests). 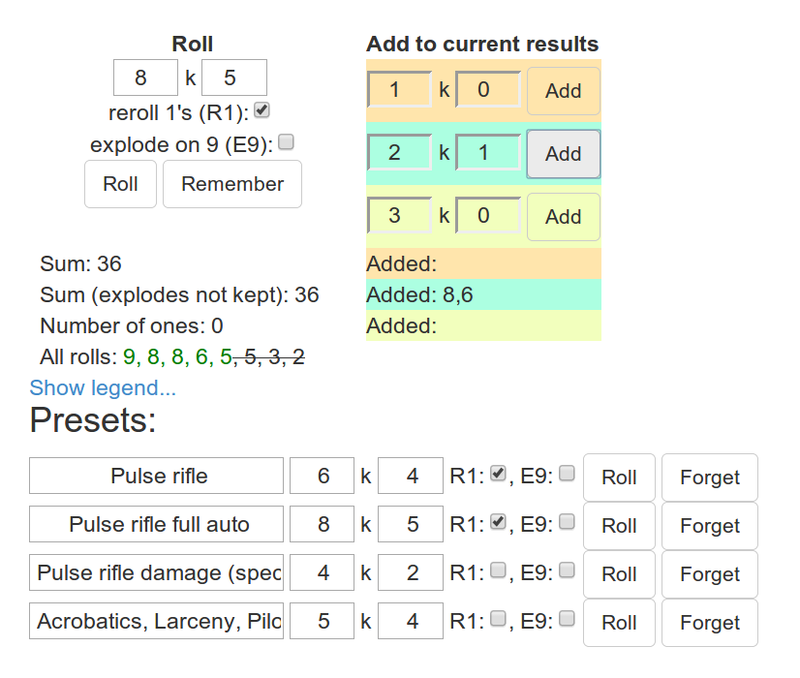 "Presets" for rolls with labels (you can have a list of roll presets with "Roll" button near each). Presets are stored in local storage so are persistent after page reload. Extra dices may be added afte initial roll. It may be useful for rolling weapon preset attack and then adding close range, aiming or pointblank range bonuses. Stored on plnkr.co! You can edit, tune and style it as you wish. And you can save it for local use in browser.